Home : Poker News : Re-Entry Tournaments -- Good or Bad for Poker? One of the most polarizing issues in the poker world today is the emergence of re-entry tournaments and whether or not they are good for the overall health of the poker industry and economy. A re-entry event is different from a rebuy event in that a player cannot “re-entry” until he has been already eliminated from the tournament. While some events allow players to buy back in immediately, others force them to wait until the next starting day. The concept is nothing new, but in a down economy, re-entry events have become the latest trend on the always-evolving tournament circuit. The theory is that by lowering the buy-in and allowing players to re-enter the tournament, you’ll get the best of both worlds. Those with the bankrolls to gamble it up in the early levels will juice the prize pool and those with smaller bankrolls will get to enjoy a shot at a big payday for a smaller entry fee. The World Poker Tour has popularized these events in the last year, lowering their buy-ins at some marquee stops in California, New Jersey and Florida to $3,500 from their traditional $10,000 and creating multiple starting days. The end result has been bigger fields, but also more money for the host casino. Not only are the players raked on each re-entry, but they are also staying at the casinos for longer periods of time, taking up rooms in the hotel and filling the restaurants each night. Failla wasn’t the only one who felt that re-entry tournaments gave the tournament regulars an advantage. Jonathan Little has made four final tables, won two titles and cashed for over $3.5 million on the WPT, but even he doesn’t like re-entry tournaments. Christian Harder, who has made two WPT final tables and cashed for nearly $1 million, agreed with Little, but argued that it is more difficult for some players to secure a backing arrangement for re-entry events, lowering the field size and the prize pool in the long run. But does another chance at the tournament really offer an advantage? After all, these players who re-enter are paying twice as much for a shot at the same first-place prize. 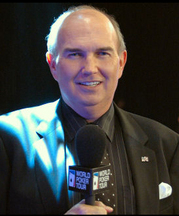 Tony Dunst, host of the WPT’s The Raw Deal, echoed Liebert’s opinion, stating that although the casinos are profiting from a re-entry, the player is coming out ahead in the long run. Though there are players on both sides of the fence, there are also those who believe re-entry events are great in moderation. Frankly, the reason these events have been so successful is because the players keep showing up and more importantly, keep re-entering. They might not like it, but they are inevitably voting with their wallets. When the poker world is ready to change once again, the savvy poker room managers will be there to adapt and meet the new demand, whatever it may be. But until then, players will have to plan their buy-ins accordingly. *These numbers were calculated based on the additional rake received, along with the 3% of each buy-in that is held for tournament staff. Re-entry tournaments are clearly good for poker. In the right tournament with the right structure and buy-in range, a re-entry is a must. Aside from the concept being as rewarding, exciting and innovative as the recent WSOP's development of live time delay hole cards, it makes all the economic sense in the world for any better poker player looking to leverage overheads against inherent tournamnet variance. Dead fish money that has dried up and will continue to dry up will never be induced or accelerated to any greater degree by elements that bring more benefit to the table. Fish will be fish in or out of water. How about you can buy as many entries as you want but you have to buy them before day 1A. You want 2 shots? Then pay before the tournament starts. the re-entry has nothing to do with helping players and their bank rolls..its strictly an effort for casinos to boost their profits. it also hurts the integrity of tournament poker..the day a tournament champion can say i was eliminated on day 1 is stupid..of course 116 of the 181 that got eliminated on day 1 re-entered, that was their plan from the get go..any player with a below average stack is gonna start shoving knowing they could get lucky and hit a rush or go bust and start again tomorrow...thats not what a real tournament is about...the casinos just caught on to all the money they were missing out on with re buy tourneys and thought, heck make them leave their seat and go back to the cage to "re buy" that way we get another rake out of them. Who cares how much money a casino makes, as long as the situation in question provides a level playing filed for all the players? Any tournament is just as level a playing field with a re-entry as it is without. A player will be just as skilled, unskilled, lucky or not regardless of structure timing. The greater problem for players and the future of the poker market is the way casinos view top heavy payouts. They seem to think that massive top 5 spot payouts are the draw that attract runners to a tournamnet.Sure skyscraper telephone number prizes deploy significant marketing value, and this is very important. However, just as important is the need to keep the professional goodwill basis healthy. It is very important to foster deep lifetime value among your customers. The present trend makes it very difficult for good and great players to cash consistently. That means there's something very wrong with the business philosophies and systems that drive poker tournaments. The good news is that re-entry tournemanets help to alleviate the present downward pressure somewhat and lay the ground work for further innovation in the game that may eventually lead to a much healthier and truly sustainable environment. Joe, re-entry tourneys do nothing to make poker tourneys a "sustainable environment". They clearly favor the larger bankrolled individual. The casinos do it because a significant number of larger bankrolled players have requested it, and because they make a significant amount of increased juice, etc., as the article informed. Quite simply, they realized the amount of juice they were missing out on on rebuys, and found a way to get it. What exactly was wrong with rebuy tourneys? One rebuy and an add-on works fine. Wolfed, I completely agree - there is absolutely nothing wrong with rebuy/add-on tournaments. However, a re-entry is a completely different casino product, that provides a completely different set of money management and skill set strategies a player can deploy. These are similar formats, but completely different and not substitutes for each other. By the time a rebuy becomes favorable or necessary the player is at a completely different stage than he would be in a re-entry fresh start. There's lots of things that drive innovation from the humanities to finance. Profit is a valid financial driver. As long as it doesn't hurt anyone. Whether a tournament is a shoot-out, rebuy or re-entry, the casino is not the one hurting the player. Only the player can hurt himself/herself.